A low doorway (mind your head) leads from the patio to the ground floor passage with a twin bedded room to your right, a bathroom with bath, toilet and wash hand basin, and door to the kitchen. 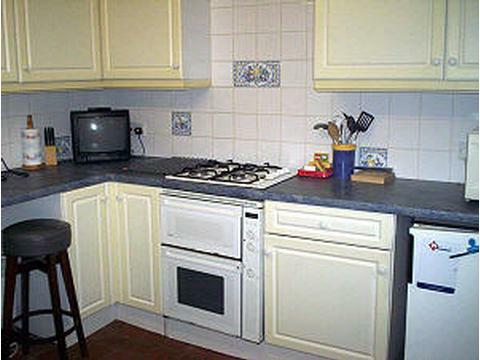 Small modern fitted kitchen with electric oven, gas hob, fridge, freezer, microwave , coffee machine, washing machine, and backdoor giving access to main drive. 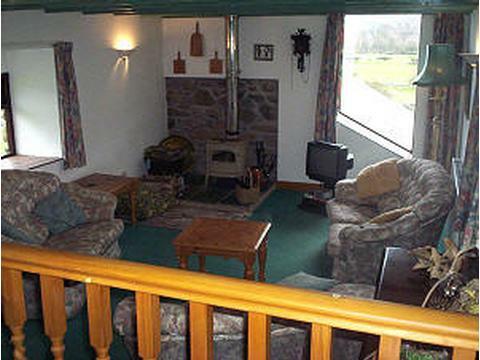 Stairs lead up from the passageway into a spacious lounge with wood-burning stove, comfortable seating, windows giving lovely views across the fields and valley to the hills beyond. T.V. and DVD. Two steps lead to galleried dining area. Outside there is a patio seating area with garden furniture, and steps leading up to your car parking area with room for 1 car. 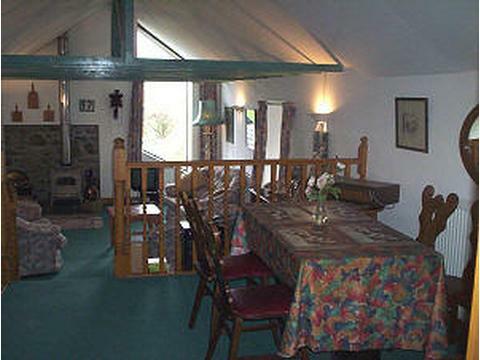 Available all year and can be booked in conjunction with Pant Farm. Max 4 persons. 1 small dog by arrangement. Programmed central heating included during the off season, otherwise at a charge. Cot and highchair available on request. 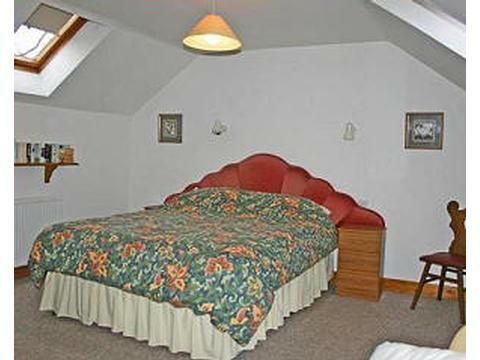 Within walking distance of local shop / Post Office, village pub, butcher and bus stop. 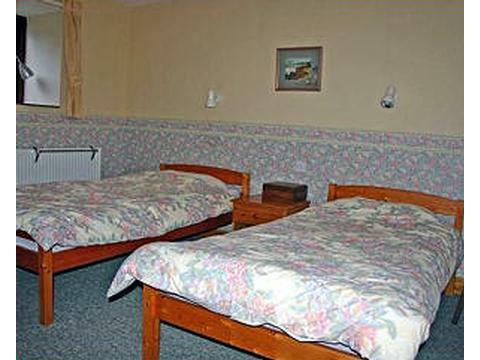 Set in 10 acres of pasture land with tranquil views of the valley, mountains and wooded hilltops. 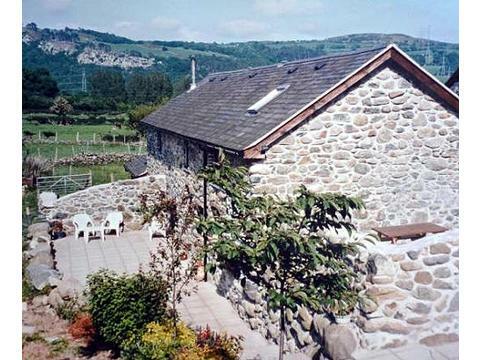 Centrally situated for exploring all of Snowdonia and the coast, there is lots to see and do! Surf Snowdonia is just down the road! Contact Roger & Jenny Jones for Enquiries and Availability.